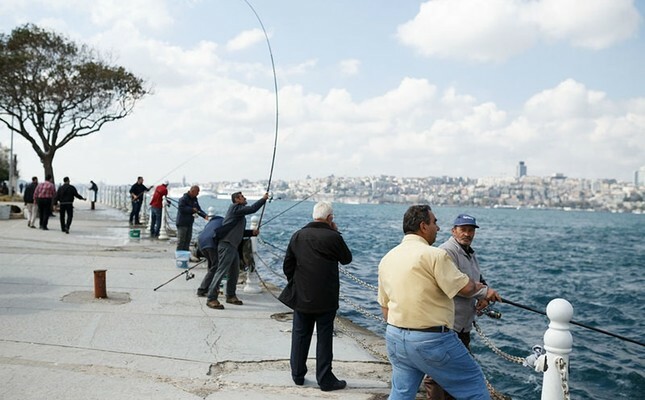 A young man who went for a walk by the Bosporus lost his eyesight and ability to speak after being hit by a careless fisherman's sinker and barb. 34-year-old Burçin Gülümser suffered injuries to his skull when he was hit by the sinker of the fishing rod cast by fisherman C.A. along the seafront area of Istanbul's Aşiyan neighborhood 20 days ago. The barb also got stuck into Gülümser's right eye and heavily injured him. Upon onlookers' calls, ambulances arrived at the scene and Gülümser was rushed to Okmeydanı Training and Research Hospital while the barb was still attached to his eye. Despite a series of surgeries and doctors' efforts, Gülümser lost eyesight and ability to speak. C.A. was initially detained after the incident but was later released. Public prosecutor's office launched an investigation into the incident.